Welcome to Kits 360! One of the neighbourhoods most desired buildings. This very well maintained concrete building borders Kits and Fairview. With two generous sized bedrooms and two bathrooms, this efficient and spacious floorplan is hard to beat. 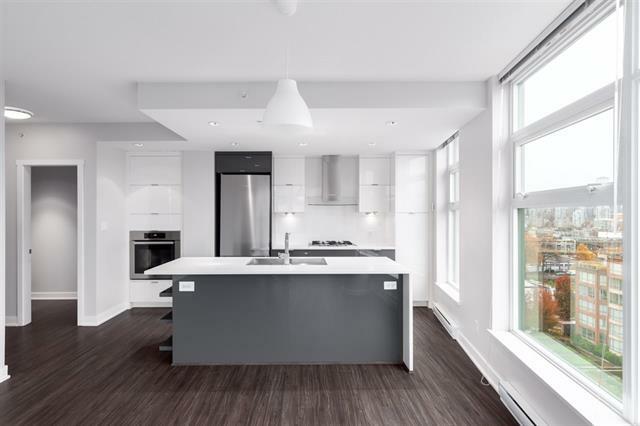 The modern open concept kitchen features high end stainless steel appliances, quartz countertops and a gas range. A large south facing patio is the perfect spot to lounge in this quiet location. Live only minutes away from everything you need, including shopping, restaurants, recreation and more. The building comes equipped with a rooftop terrace, concierge, fitness facilities, courtyard and meeting room. Secure underground parking included. Open house Sat Nov 3 from 2:30-4PM.